This Miracle Machine Turns Water Into Wine. Yes, Really! Gone are the times when we used to have separate gadgets for different purposes and nowadays, we find a single gadget that is capable of doing more than just one task. Such gadgets are in demand at work and at homes as well. Why? You need carry less stuff and you are at ease when different situations present themselves. The user can make use of the scooter option that comes with the model and is basically a fold-down scooter that will allow the user to scoot around. 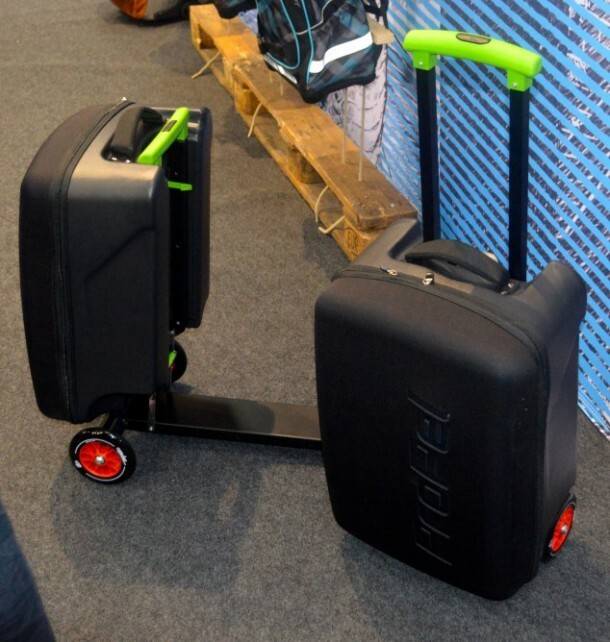 The scooter has a single wear at the back and utilizes the same 2 wheels at the front that the bag uses. 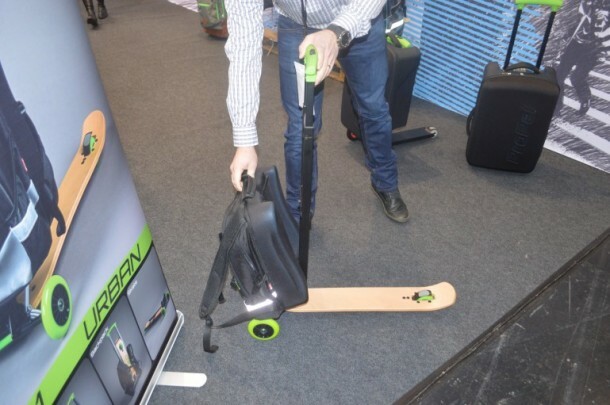 The scooter can be folded down when there is no longer a need for it and you want to wear the bag on your back or you have to pull it around like a wheeled luggage. Oh and if the weight or having so much with your pack annoys you. then you can simply detach these add-ons and have a lighter, easier to carry around pack ready for you with a standalone scooter, which will help you in travelling. 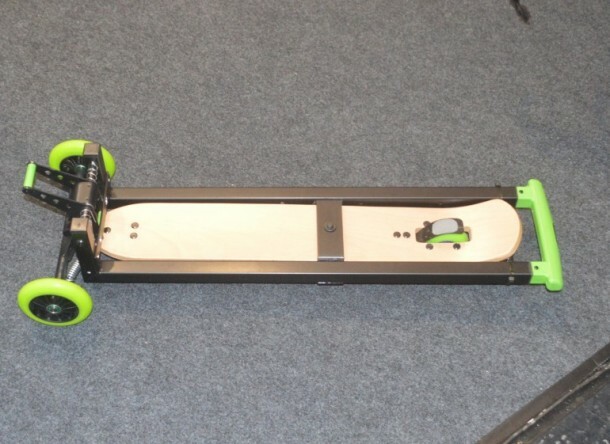 However, what you guys were not expecting is the transformation which allows this gadget to turn into a skateboard and allowing you to wheel around your campus or streets. The handlebar, basically, goes into the scooter platform and voila! However, the board isn’t too sturdy, so you better not go Tony Hawk on it and keep it cool. 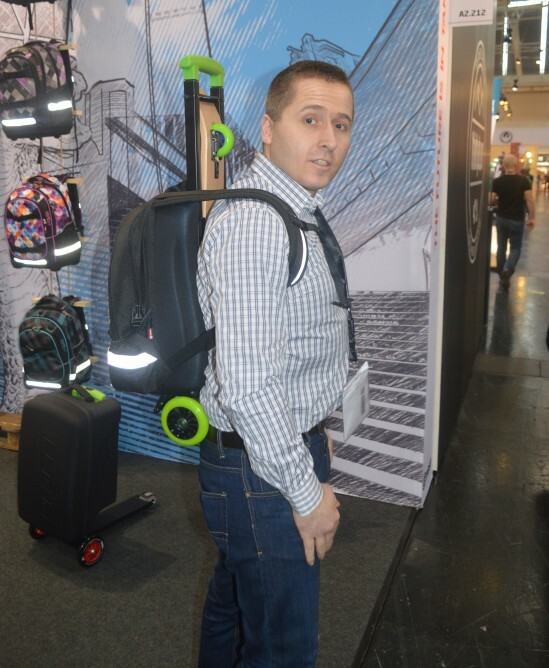 The company is working on production and distribution, however; at ISPO Munich Show it stated that the gadget will be launched in about three months at a price of $340. Although the price is a bit too high compared to the utility of the product, we are expecting that they will be lowering the price if they want the idea to catch on. Fingers crossed!